Someone said email marketing was dead. They couldn’t be more wrong. A study by ExactTarget shows an average return on email marketing is $44.25 for every dollar spent. No matter how prominent social media and content marketing have become, emails are still an effective tool to reach your customers in a more personalized, more private way. But if you see that email marketing doesn’t really work for your business and you don’t get the expected response, chances are you are doing something wrong. One (or many) of these can be the reason why your email marketing efforts fall flat. Reason 1. You don’t have a consistent strategy. Like any other marketing activity, email marketing requires a consistent and logical strategy. Stats show that top performing marketers spend 6% more time on planning the strategy than their less successful competitors. If you send emails now and then without a consistent plan, you are likely to lose touch with your subscribers – and, ultimately, lose the subscribers themselves. Reason 2. You don’t proofread or test. Spelling errors, typos, broken links, or missing images may not seem that important, but they can cost you the brand image and the trust of your subscribers. Make sure you carefully proofread every email and test it to see how it looks in the mailbox before you hit ‘send’. Reason 3. Your subject line doesn’t work. If you are not getting enough opens, the problem can be in your subject line. It should entice your audience to open and actually read the email, so you want to test several options to see which subject line works best. Reason 4. Your timing is wrong. Weekends or after hours are not the best time to send out an email: stats show emails get more opens during business hours. Make sure you consider this and test your timing, too: that way, you will know what time works best for your specific audience. Reason 5. You don’t optimize for mobile. These days, most people read their emails on their smartphones, and if yours is not mobile-friendly, you’ll be losing an important share of your subscribers. Reason 6. You are too pushy. Naturally, making a sale is the ultimate goal of your email marketing efforts, but trying to sell with every email makes people want to unsubscribe from your list, because they don’t receive anything of value. Use emails to deliver the information your customers will need, in order to build trust and keep the subscribers on your list. Reason 7. You don’t encourage engagement. A sure way to build a solid relationship with your subscribers is encouraging them to interact with you. 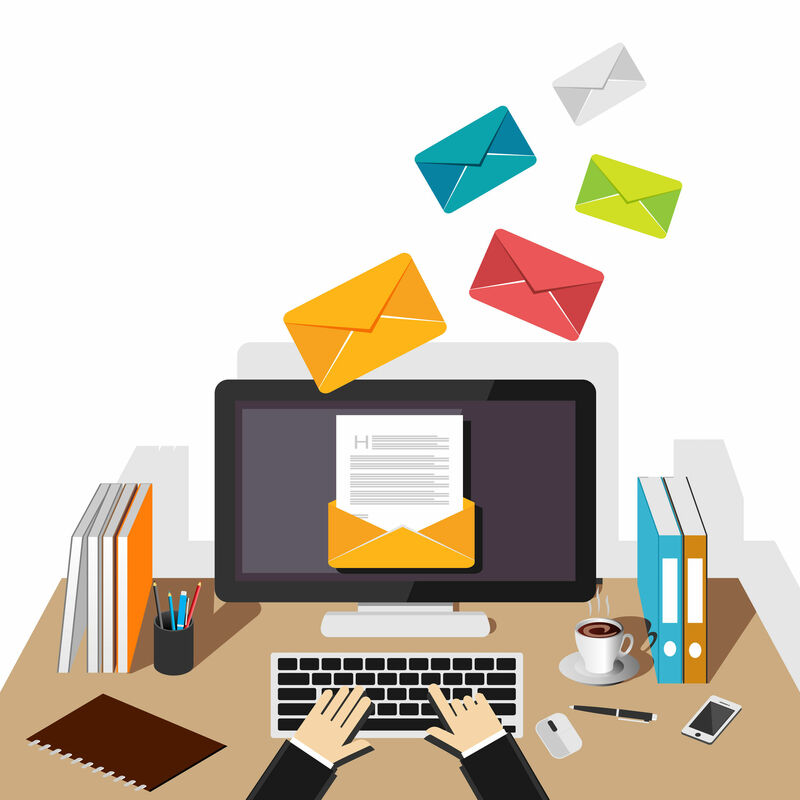 Include polls, contests, and other interactive elements into your email strategy, so that you don’t lose the connection with the audience. Reason 8. You don’t include full contact info. You want your subscribers to be able to contact you any way they find convenient. Besides, they want to know who exactly they are receiving an email from. So, make sure you include all your contacts and links to social media pages and make them easy to see. Reason 9. You are not personal enough. Mailboxes are pretty personal, so people want to receive emails from other people, not from brands. Try including a personal signature (you may even use a photo of yourself) and put your name rather than the company name in the ‘from’ field. Addressing each subscriber by the name also works much better than a generic ‘hello’. Reason 10. You don’t deliver what you promise. This applies to any type of marketing: don’t make promises you cannot deliver. If you offer a discount on certain products, make sure they are in sufficient supply. If you start a contest, inform your subscribers about its results and introduce the winner. Promises not kept are a sure way to lose trust and disrupt all your future efforts. So, are you having difficulties making email marketing work? What do you think is the reason? Feel free to reply in the comments below.